Diarrhea is one of the common symptoms that comes to mind when you hear “IBS.” At the IBS Treatment Center, IBS-D (IBS with Diarrhea) and other forms of IBS are conditions we treat with great success. But diarrhea is more complex than you might assume. Here’s what you need to know about this uncomfortable condition. You may be surprised to know that diarrhea comes in a variety of shapes and sizes. Many people assume that diarrhea is that thing you experience when you have the stomach flu or food poisoning and then explosive, watery bowel movements send you rushing to the bathroom hoping you make it there in time. For those without IBS, this is probably the most common experience with diarrhea. But for IBS sufferers, diarrhea can be drastically different. Some people with IBS have diarrhea and others don’t. It’s not a prerequisite with IBS, but it’s a common assumption. But if you regularly have loose stools, then you probably have IBS. So what exactly is diarrhea? Any bowel movement that isn’t well formed, doesn’t maintain its shape, and falls apart in the toilet is a form of diarrhea. Sometimes it may be extremely loose and completely disintegrates, other times it’s flaky and doesn’t hold its form well. It need not be urgent nor frequent. In some cases, it immediately follows constipation. A slightly more pleasant name for diarrhea is “loose stool.” If you have chronic loose stools, that is significant because it is your body telling you that your food is not being properly digested and properly absorbed. This means that you aren’t getting the nutrients you need, which can be true regardless of your weight. If you aren’t absorbing nutrients properly, you are susceptible to many long-term issues including obvious nutritional deficiencies such as osteoporosis, iron deficiency anemia, fatigue, poor immune function, and poor cognitive function. IBS sufferers may experience diarrhea alternating with constipation. You may also have fairly regular stools some days and then diarrhea on other days. Those also qualify as IBS symptoms. Your diarrhea may or may not be accompanied by abdominal pain or cramping. Sometimes severe stomach cramps occur with diarrhea and other times you may have little or no abdominal discomfort. Gas and bloating may or may not be a part of the picture with diarrhea. With more severe diarrhea, it is common to hear gurgling and feel things moving quickly through your intestines. Another version of an abnormal bm is to have very soft stools that aren’t well formed, but don’t seem like diarrhea. Stools like this are not normal – normal bowel movements are at least once a day, well formed, and easy to pass. Soft or loose stool requires more toilet paper to clean up – normal is only one or two wipes. These types of stools are very important to address as they indicate poor digestion. Digestion is truly the foundation of your health, so the root cause of loose stools must be addressed. Using Imodium, Pepto-Bismol, or similar medications to improve your symptoms is not healthy and will not cure the underlying problem. Stomach medications like these should not be used long-term but can help in the short term. If your problem persists after a few days of use, then you have a problem. You don’t want to become reliant on these types of products that don’t address the cause. Curing loose stools should be a priority for your short and long-term health, so you can get back to the things you enjoy in life without worrying about the discomfort and embarrassment of diarrhea. 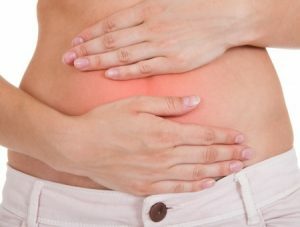 You can get your life back – but you need a doctor who truly understands IBS. Even if your PCP or gastroenterologist can’t help you, don’t give up – you just need to find the right specialist. Come to the IBS Treatment Center to get the answers you deserve. Call (888) 546-6283 to schedule a consultation with an IBS expert at our Seattle or Los Angeles locations. We’ve helped patients from all over the world with life-changing treatments and are ready to help you – call now.